Learning a new language requires months of intense study — except when it’s done by kicking back and watching a sitcom. 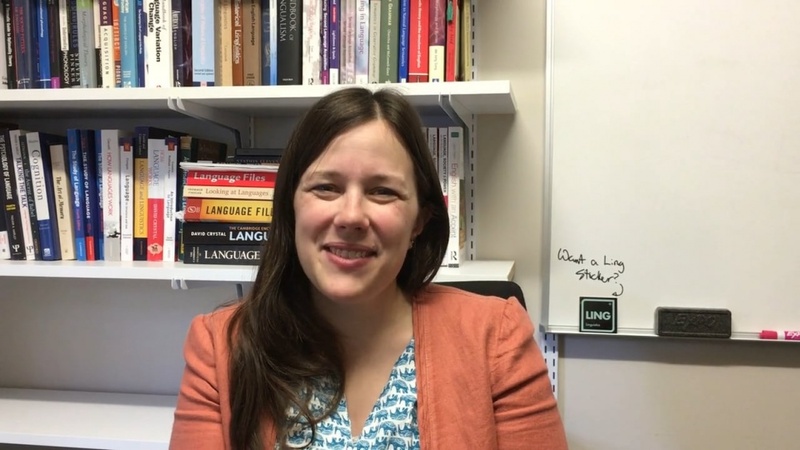 “These stories are hugely common,” said Melissa Baese-Berk, a UO associate professor of linguistics and the director of the Second Language Acquisition and Teaching program. In a recent CNN article, Baese-Berk talked about how watching television can help people quickly pick up a foreign language. Studies show that the best way to learn a new language is through a mix of active and passive learning. Watching a foreign-language TV show involves both — active learning when the viewer is carefully focused on catching new vocabulary, and passive learning when his or her attention wanders while the language continues in the background. Baese-Berk gave three keys to learning a second language by watching television. First, it’s best for the viewer to have subtitles in their own language to fall back on. Second, the show must be engaging. Unless it is watched almost obsessively, the new language isn’t likely to take. One of the Latin American athletes reportedly watched each of the 236 episodes of “Friends” at least five times. Third, the show’s storyline should be repetitive. For the Latin American athletes, that was “Friends.” For aspiring Spanish speakers, it might be telenovelas. “Telenovelas have a predictable structure: They have a problem, and they find a solution. You can follow the plot pretty easily,” Baese-Berk said. Baese-Berk’s research focuses on phonology and phonetics with special attention to non-native speakers and listeners.